Which daffodils do you love? 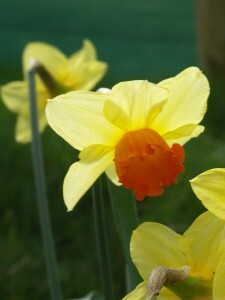 All daffodils are ‘narcissus’. Here are some you might like. 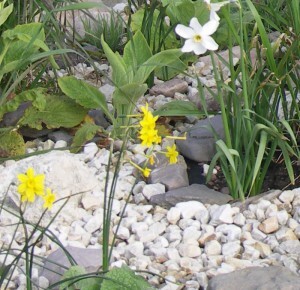 The slender ones look very pretty in gravel borders and rockeries. 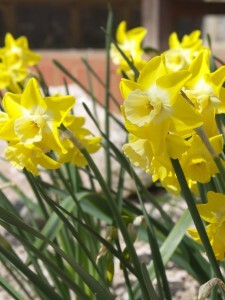 Narcissus ‘Hawera’ is lemony with multiple heads and appears in mid spring. ‘Baby Moon’ is a brighter yellow, taller and arrives later in spring. 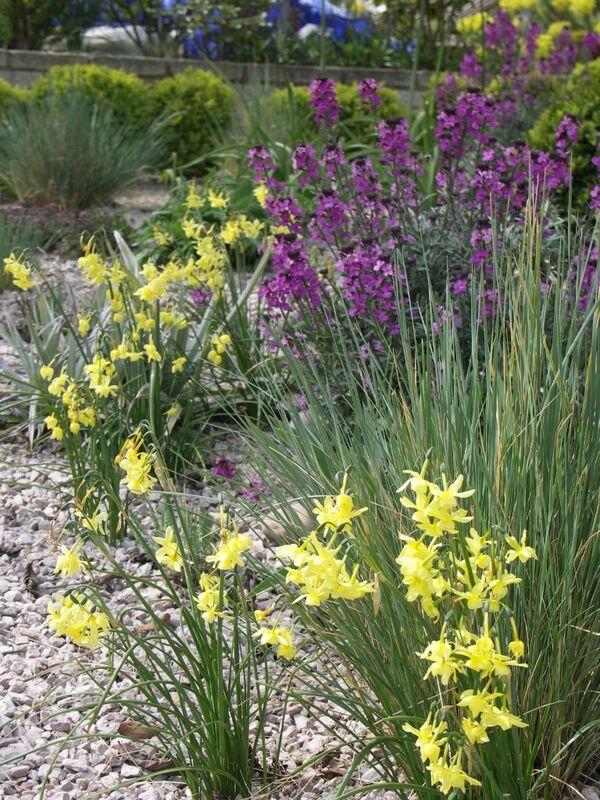 Plant them both in drifts for the best effect. This is a classy one. Refined and elegant milky white flowers – two per stem, appear in mid April. They smell delightful too. These orange trumpets just make you smile. This grows to about 35cm and works well in clumps in grassland. It flowers from late March. 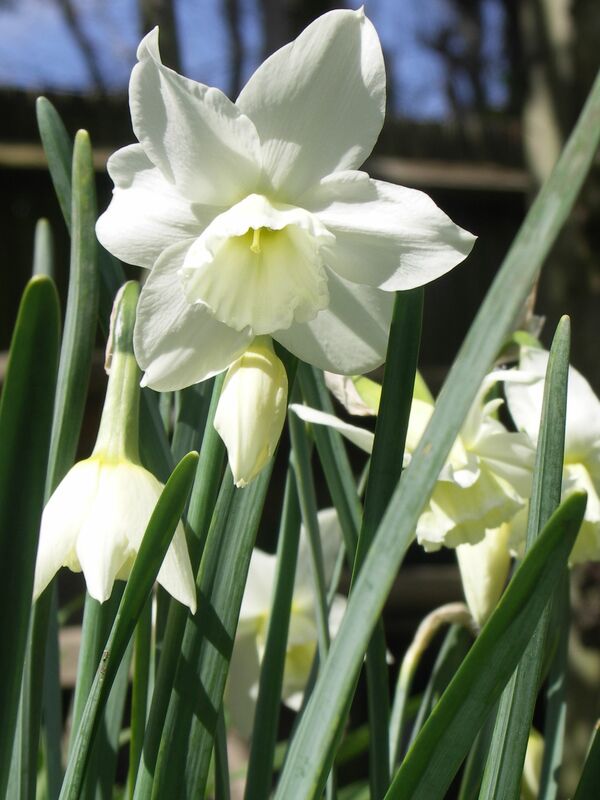 This daffodil has pale lemon flowers with a distinct creamier colour trumpet. The lemon fades attractively as the flower ages. It flowers in April and is also good in grass. A real beauty. White petals with a tiny golden, red rimmed cup. It flowers in May but is well worth the wait. 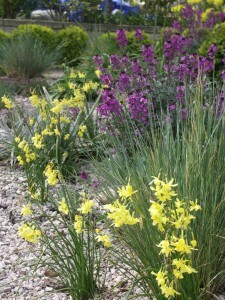 They are great in a border. 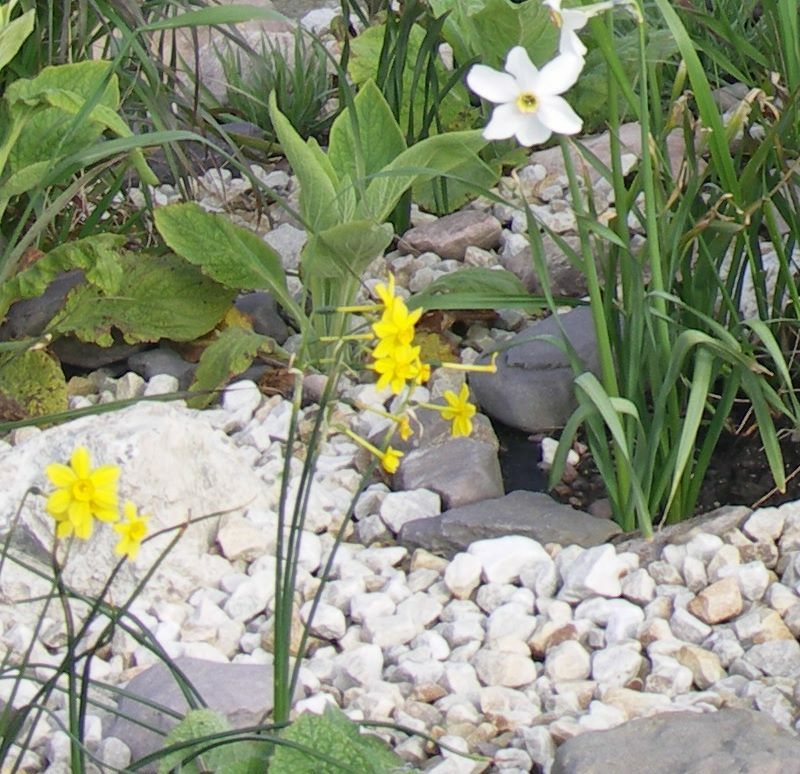 This entry was posted in A Bunch of Daffodils and tagged Daffodils, Garden Design, Leaf & Acre, Narcissus, Narcissus 'Baby Moon', Narcissus 'Pipit', Narcissus 'Thalia', Narcissus poeticus, Narcussus 'Hawera', North London, Planting Design on April 11, 2015 by admin.